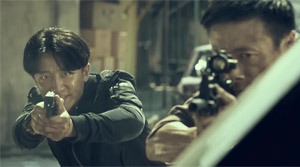 Story: Lin Kai (Huang Xuan) is an undercover cop who tries his hand as a drug smuggler in order to climb the ladder within the drug gang he is infiltrating, led by Eagle (Duan Yihong). His underboss at the moment is frequently selling some of his drug pushers to the police since he has a deal with a corrupt cop. 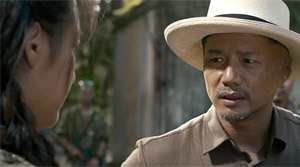 Through unlucky circumstances Lin Kai is checked by the police, but he manages to escape. During a later money handover the police is again informed as well and turns up at the spot. 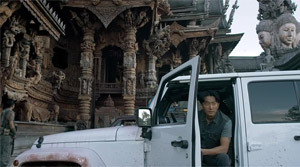 This time Lin Kai manages not only to save himself, but also one of Eagle's most important underbosses. He may have to put a gun to his head in order to convince him that he is no undercover cop, but when he arrives at Eagle's things aren't any different. Despite initial doubts about him Eagle eventually is convinced that Lin Kai could make the distribution of his drugs a lot more lucrative. Lin is finally where he wants to be, but he still doesn't know the exact location of Eagle's base within the Golden Triangle as he is always led there blindfolded. Eventually, it turns out that Eagle is also an old acquaintance of Lin's superior within the police, Luo Dongfeng (Zu Feng). Review: The fact that China likes to put its fight against drugs into movies and glorifies it by making it the heroic deeds of single individuals fighting for justice in the country and for its people shouldn't be anything new. But in "Extraordinary Mission" it's a little bit too much at times. In principle a decent enough action film the message by Chinese authorities distracts too much from the few little strong points there are. 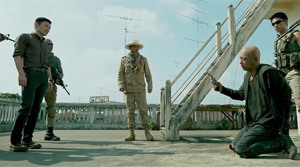 All in all the picture turns out to be rather trivial supply for genre fans since it lacks the high-octane nature and impact of an "Operation Mekong", a movie that also advertises the outstanding Chinese police force and their willingness to sacrifice themselves, yet also delivers ball-to-the-walls action which is just a lot of fun. This entertainment value is unfortunately getting a raw deal here and thus raises the question why you should watch this movie at all. Surely not because of its story. The plot doesn't differ that much from "Operation Mekong", maybe even turns out to be a bit shallower since the undercover story is rather lackluster and also everything but original. After all, Felix Chong has been responsible for the screenplay and Alan Mak stood behind the camera as a co-director. Two men who achieved a masterpiece with "Infernal Affairs". Accordingly, it's almost sad to see what movies they are making nowadays. Don't get me wrong, there is nothing to be said against a little bit of trivial entertainment, but "Extraordinary Mission" makes it really difficult to find any special qualities in it. Everything seems rather bland and unoriginal. You also can't identify with the plot's hero since he lacks an individual background story and also doesn't suffer from the circumstances of his mission. Lin Kai is the knight in shining armor who is willing to sacrifice himself at any time. As it should be in a movie like this, this also includes getting shot several times without being seriously slowed down. This and the fact that he and his colleague seldomly get shot in a hail of bullets - and if so, as already said, it turns out to be a mere flesh wound as was common in 80s action cinema - is almost likable. Furthermore, the last half hour is one single giant showdown where you can actually see the directors' effort to make the screen vibrate with all the real explosions. 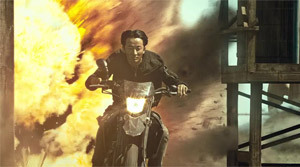 A motorcycle chase over the rooftops, even though at times clearly realized through CGI, also manages to convince. But the overall package doesn't leave any permanent impression. The shootouts simply lack the kind of kinetic energy needed. Apart from that it's problematic that the villain has more charisma than the hero. He also has a tragical background story, even though this doesn't make him any less evil, and his daughter seems to be an interesting cog in the story, too. Unfortunately not one that would push the plot forward in any way, but which despite its potential is just falling out of the machinery at some point. Furthermore, you shouldn't have any illusions - and that's also one of the biggest aspects which keeps the movie from surpassing its mediocrity - because the fact that in the end the good guys win and the bad don't is obvious from the very get-go with a movie coming out of China. That Alan Mak sold out and traded predictability for money even hurts physically. The end of Hong Kong cinema seems to be written in stone and the approach of old Hollywood policy surrounding the knight in shining armor is more and more solidified in China. Those who still doubt the nationalistic tone will be shaken up during the speeches towards the end. Yes, it was pretty clear that a movie which centers around drugs was supposed to end that way. But there is also a smarter way to stick to the government's demands. 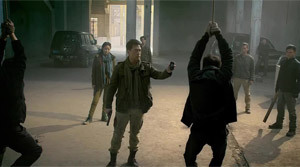 Just take a look at Johnnie To's "Drug War". 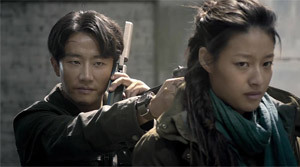 Moreover, "Extraordinary Mission" lacks the tension that we are used to see from the duo Duo Mak/Chong. There may be explosions by the minute, but the characters can't win us over and the undercover aspect isn't implemented in a profitable manner for us to sit at the edge of our seat. In the end, this action flick can only be recommended to those who are looking for plain and simple entertainment. However, not every critic has reviewed the movie as badly as you have read here. So maybe reading a second opinion might not be a bad idea.